Since its inception seventeen years ago, Arts Mag has shone its spotlight on the artistic talents of the Collingwood body. We have celebrated art in a kaleidoscope of forms by showcasing the prowess of painters, drawers, graphic artists, orators, musicians, singers, actors, poets, writers, sculptors, photographers and designers. From budding artists to seasoned veterans, the students and teachers who have graced the pages of Arts Mag have shared their inspiration, their philosophy and their passion vis-à-vis life and the role of art. We have even followed the creative path of some of these individuals beyond Collingwood; some alumni have continued to pursue their art as a pastime, while others have made it a post-secondary career. Some have even experienced the transformative energy of art, and have discovered new or different means of artistic expression. At every stage, Arts Mag has strove to delight the senses through the richness of colour, movement, texture and musicality that our artists have captured in their works. It is with admiration, joy and awe that the Arts Mag team thanks our contributors. In the same vein of artistic exploration and creative experimentation, we have decided to update the look of Arts Mag. We hope that you enjoy the new format. From dancers and painters to master cake bakers, the Collingwood community is filled with a wide array of gifted artists. With term one soon coming to a close, we’d like to share with you all of their stories and talents as an early Christmas present in the Winter 2017 issue of Arts Mag. At Collingwood, we are fortunate to have a wide variety of resources and opportunities to explore our artistic interests, whatever they may be or however many there are. We can’t wait to see what new artists we will discover as the year progresses. ​In anticipation of a chilly, snowy winter, we hope that, as you explore our showcase of the many artists in our midst, their beautiful artworks and fascinating experiences will warm your heart and inspire you to embark on your own artistic endeavours. Mahasti is a French teacher, painter, singer, art and antique collector. She loves to travel to different places and immerse herself in the culture of the countries she visits. 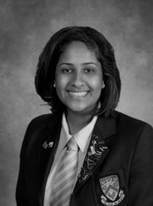 Mahasti has a Masters degree in French Literature and loves teaching about Francophone cultures through literary works. She has been the director of Arts Mag for the past 17 years. She organizes Cav Prom but Arts Mag is her favourite co-curricular activity because it gives her the chance to discover the hidden talents of the Collingwood community. Ms. Angela Walsh has been an art teacher for the past 13 years and has been with Collingwood's art department since 2009. She has a great passion for teaching both studio art and art history and started the AP Art History program at Collingwood. Ms. Walsh studied fine art with a major in painting and printmaking and a minor in art history at Queen's University in Kingston, Ontario. She continues to be active in her own painting practice and looks forward to getting back into the print studio again very soon. Ms. Walsh is very excited to be a part of the Arts Mag team at Collingwood School! Jennifer Lo, usually known as J-Lo, is extremely excited to be returning for her second year in the Arts Mag team. She loves reading, writing, immersing herself in music, and is very passionate about eating and cooking food. 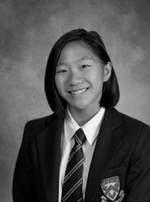 In addition to being part of Arts Mag, Jennifer also participates in the school’s string orchestra and the Admissions Ambassador Team. Angela is in grade 12 and is very excited to join the Arts Mag team once again. 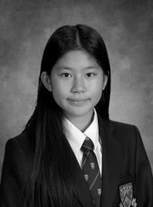 Having moved to West Vancouver in grade eight from Shanghai and transferred to Collingwood in grade ten, she can’t imagine being at a more wonderful school. She hopes to learn more about this lovely community by getting to know some of its most talented artists through Arts Mag. 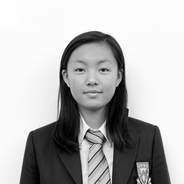 Angela is also involved in Ad Verum and Science Club, and enjoys reading, writing, and doodling in her spare time. 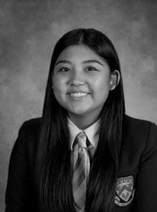 Millie Huang is a grade 12 who is joining Arts Mag again and is excited to discover more artistic talent at the school during her last year at Collingwood. She is very passionate about the arts and enjoys painting, graphic design, and cats. Daisy Wang is a grade 12 lifer at Collingwood and this is her second year with Arts Mag. 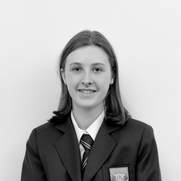 She loves the arts and enjoys writing about the immense talents of her fellow students. Her hobbies include playing volleyball, reading, and drawing. ​Clara Chalmers is a Grade 9 student at Collingwood, who has returned to Arts Mag for her second year. As an aspiring author, she is thoroughly thrilled at the prospect of journalism and hopes to flourish in continual inspiration of Collingwood's artistic community. Her hobbies include voracious reading, drinking great quantities of tea and, needless to say, writing. 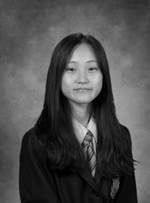 Selina Zhou is a grade 12 student at Collingwood, and this is her second year as a part of The Arts Mag. She enjoys supporting and promoting the arts and sciences in the school, and is really looking forward to meeting the student artists this year. Her hobbies include drawing, photography, and table tennis. 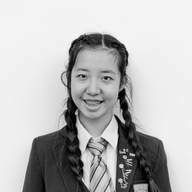 Angelina Qin is in 8th grade student at Collingwood, and this is her first year in Arts Mag. She loves learning about the history of art and photography. Her hobbies include reading, drawing and she loves learning about politics and current events. This is Karen's first year in Art Mag. She enjoys writing and drawing and wishes to meet more great Collingwood artists. Her out of school commitments involve horse riding. She owns a horse named Couper which she rides nearly every days after school. Sophia Garofalo is a grade 9 student at Collingwood, who has joined Art Mag for the first year. She enjoys visual arts and experimenting with different medias. Her hobbies include, soccer, reading, writing, and volleyball. Natalie Co is a grade 9 student at Collingwood. She is excited to start her first year in Arts Mag. Natalie is enthusiastic in supporting the arts and enjoys seeing all the creativity and passion in the world around her. In her spare time, she can be found doing circus or reading. 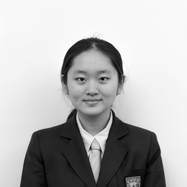 Suha Cho is a grade 12 at Collingwood who joined arts mag last year. She loves visual arts and expressing herself through her artwork. She loves arts mag because it’s a platform to showcase amazing artists in the school. Chloe Mee is in grade nine, and this is her second year in Arts Mag. A fervent artist herself, she loves to find out more about some of the plethora of fellow artists at Collingwood. Chloe often finds herself immersed in literature, whether she is reading or writing. She plays clarinet in Symphonic Winds and is a member of several Collingwood choirs. This is Sunny Li’s third year as a member of Collingwood Arts Mag. She embraces her passion for the arts by dedicating her time to visual art, photography, choir, and design. She is excited to join the team again and is enthusiastic to learn more about the talented artists in Collingwood! Yasmine Karim is a grade 9 student, who has joined arts mag for her second year. She enjoys art and loves to learn about different styles of art. Her hobbies include swimming, paddle boarding, kayaking and reading. 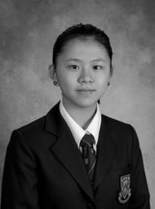 Jessica Zhang is a grade 8 student at Collingwood. This is her first year at Arts Mag. Many of her interests include swimming, volleyball, painting, reading and writing. She is very excited for this year. 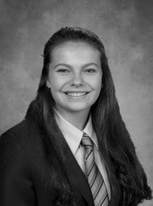 Michelle is currently in grade 11 and has been part of Arts Mag since grade 9. She loves finding inspirations in other artists and exploring new art ideas and techniques. Her biggest passion is cooking. 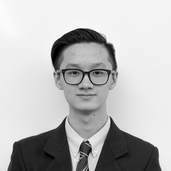 William Xu is a grade 12 student at Collingwood who has recently joined Arts Mag for the first time. He loves promoting beautiful art pieces that his school mates created. His hobbies include reading, writing, and math. Savin Narwal is a grade 12 student at Collingwood, who is new to Arts Mag this year but has been a part of the arts department throughout her years at Collingwood. She is very passionate about the arts, specifically visual arts and loves promoting different artists’ works whether they involve music, dance, graphic design or any other medium for expression. She loves reading and producing art and hopes to continue after graduating. Helen Peng is a grade 10 student at Collingwood, and this is her first year in Arts Mag. As she loves to draw and play the piano, she has a passion for promoting the arts to the Collingwood community. Her hobbies include sketching, reading, and being a full-time weeb. Rosie is a grade 10, and this is her first year in arts mag. She is interested in visual arts and music - an active member of band, pianist, and an artist. Outside of school, she is a member of the west van youth band and spends a lot of her free time painting. She is very excited to contribute to arts mag this year. Geneva Ge is enthusiastic about all types of arts and has joined Arts Mag this year. She hopes to incorporate art into her future somehow, and is an avid artist and enjoys spending time with her friends. 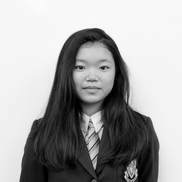 Remy Li is passionate about Art and writing; she's a Grade 8 student who had just joined art mag this year. She loves learning and advancing Arts. She's also in love with making and creating art herself. ​This is Eve’s second year in Arts Mag. She joined Arts Mag because she is incredibly passionate about the arts. Eve is from Montreal, Quebec – a place booming with different types of artists. Eve is a part of Arts Mag also because she would like to broaden her horizons and meet new people who have a love for the arts, just like her. 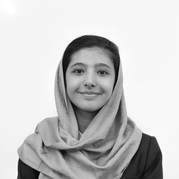 Maryam Jafari-Amjad is a grade 10 student at Collingwood School, who is personally very passionate about art so has joined Arts Mag to help promote other keen artists and their work. Maryam has the heart of an artist and the mind of a writer making her a great candidate for the position of an artist interviewer. She is thrilled to now be a member of this organization and can’t wait to learn more about other artists’ perspectives and to thrive as a journalist in this program.